When you’re entertaining it’s all too easy to get to the bottom of your bag of tricks. It’s time to go large, and bring out the balloon arch. No matter what the occasion for your party, a balloon arch will provide a great centerpiece, and set the scene for a stylish affair. Kids love them, and they are a great idea for a birthday party. If you’re celebrating an engagement, anniversary or even a low-key wedding, an arch will be an elegant addition. When you’re throwing a function for work colleagues or friends, everyone will love the Instagram-friendly arch. When you first think about a balloon arch, you might remember some helium monstrosities best suited to a convention centre. The modern arch is a little less structured, and a lot more creative. Best of all, because you’re using plain old air rather than helium, you can prepare your arch up to a week in advance without any issues. Get the whole family involved, and book in a crafternoon dedicated to your balloon creation. 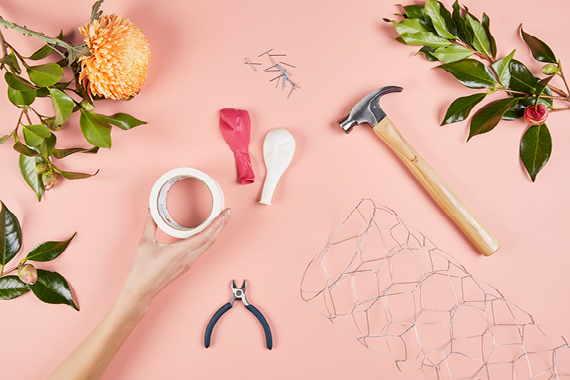 To get going, you’ll need chicken wire, your balloons and some sticky dots. You can source your chicken wire at a hardware store. Buy more balloons than you’ll need for your arch, because well, you should plan to lose a few. Around one hundred is safe. 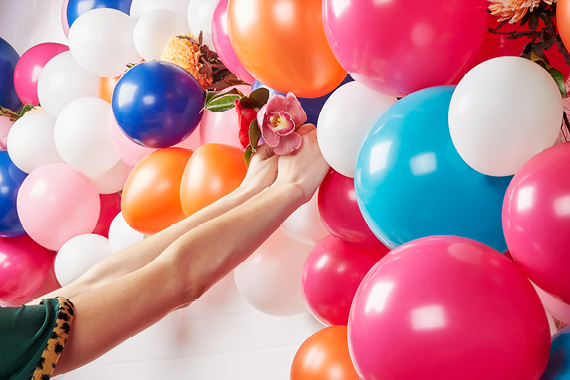 When you’re choosing balloons, think about mixing up textures as well as colours. If you shop around, you’ll discover that you’ve got options! Choose from chrome, glitter, matte or patterned balloons, and make sure you mix it up. Of course, if your party has a colour scheme, your balloons are a great way to really bring this to life. Your sticky dots get pressed into action here, to bond your balloons to your arch frame. Make sure that the frame is completely covered, and if in doubt, add more balloons. Once you’ve constructed your arch, consider adding either some greenery or some bunting to perfect your arch.